The 30th anniversary of The Miami Showband tragedy occurs on July 31st this year. The tragic and untimely deaths of these young stars stunned the nation, shocked the world and caused an outpouring of grief that still reverberates to this day. It has been decided to mark this special anniversary with a concert at Vicar Street, on the bank holiday Monday, August 1st. The concert will celebrate the lives of these three fabulous entertainers who thrilled millions during their brilliant careers and held such an important place in the hearts of the Irish people. The night will feature many of the legendary performers from the Showbands and Beat Groups of their day and indeed, this may be the last time that such a gathering will occur. There will also be a special interdenominational service held on Saturday July 30th at The Pro-Cathedral in Dublin at 2 pm. All are welcome to attend. The proceeds of the concert will go towards erecting a permanent memorial to Fran O’Toole, Tony Geraghty and Brian McCoy. 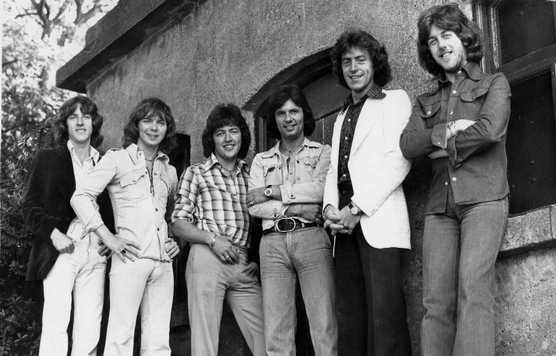 Above: The last official photograph of The Miami Showband, from left to right, Tony Geraghty, Fran O’Toole, Ray Millar, Des Lee, Brian McCoy and Steve Travers.